Ambulance 451 is our primary transportation for patients to the hospitals. This ambulance is located at the Peosta firehouse. 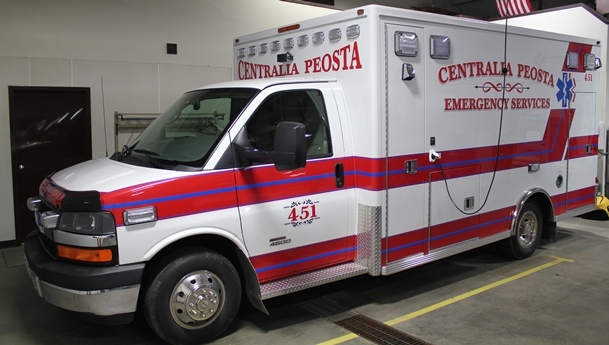 ↑ © Copyright 2013 Centralia-Peosta Fire Department. All Rights Reserved.